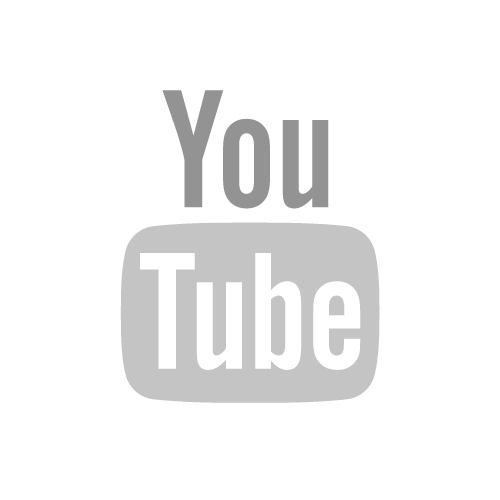 Friends Physicians, therapists, athletes, patients and the general public. 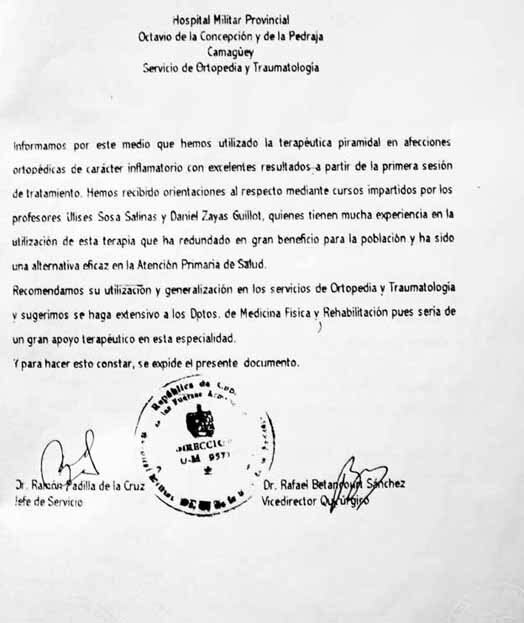 Cuban physician Dr. Ulises Sosa Salinas has received a statement from the National Scientific Council of Natural and Traditional Medicine of Habana for his acceptance of pyramid therapy, recommending this for all official health agencies, under the guidelines established by this prestigious clinical and Orthopedist, whose previous trials of five years and then a ten-year work in pyramidal applications in primary care and orthopedic clinic have been previously endorsed by a dozen general hospitals, teachers, civilians and military. 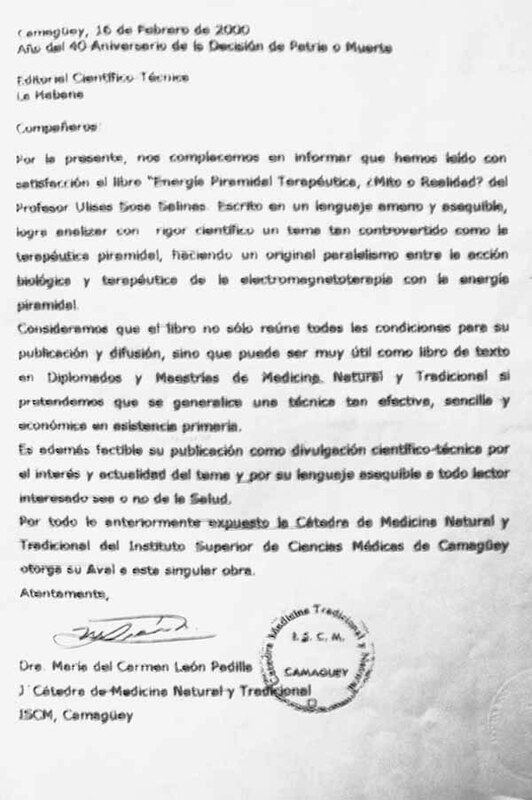 These dispositions suppose a strong support to the pyramidotherapy, since our scientific equipment begins to incorporate Spanish doctors and therapists, some of whom are knowing this subject in courses in Cuba, in pyramid mode (interior) and Antipyramid (under the plane of base). 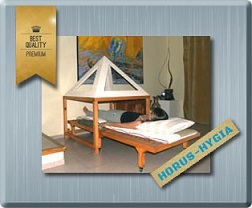 Pyramidotherapy and the preventive use of pyramids to sleep in, are causing a significant global impact, because we already have colleagues (pyramidologists, doctors and therapists) in Chile, Argentina, Brazil, Mexico, Germany, Belgium, Romania and Russia. In addition, his researches have been attended and completed by dozens of physicians, physicists, chemists, veterinarians, agricultural engineers and beekeepers, with unprecedented successes in many plant, animal and human diseases, some of which are considered "incurable" by Allopathic medicine and chemo. The results have been highlighted in rheumatic diseases in general with incredible corrections (of which I can give faith for own experiences), fibromyalgia , multiple sclerosis, stomatological, asthma, sinusitis, migraines, sleep disorders, hypertension, bacterial infections, etc. 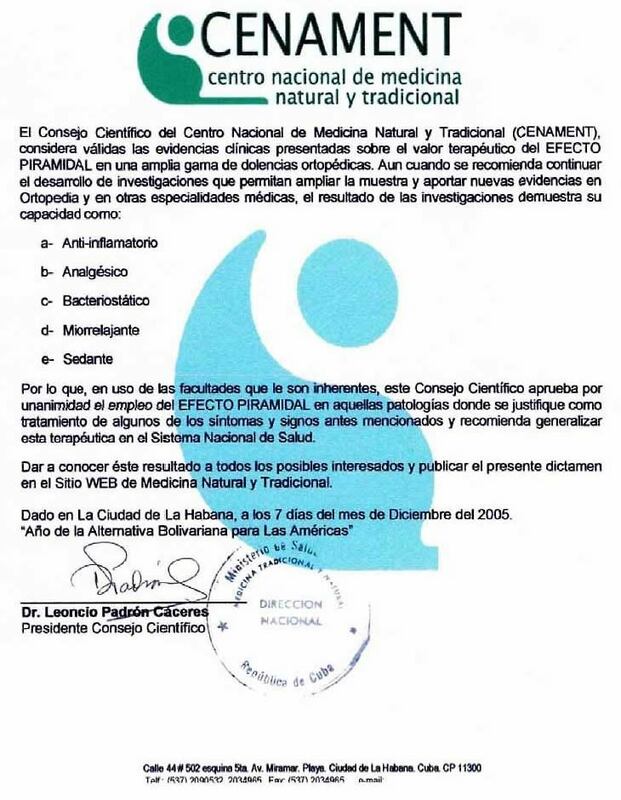 So the Scientific Council has recommended extending the research to all other pathologies that could be treatable with pyramids. 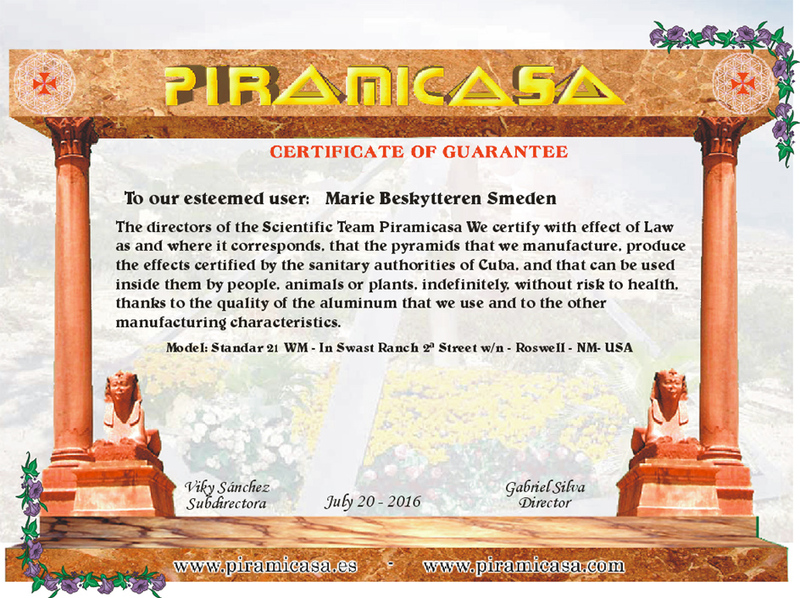 In short, the use of pyramids as a preventive to these and other diseases, will be the most used modality in the various risk groups and people who want to stay healthy. 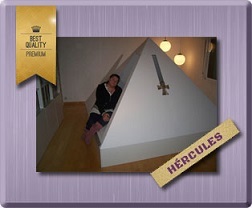 Other important matters have been the successes achieved by combined therapy of pyramids with peloids (curative muds), magnetotherapy, mechanical rehabilitation, reflexology, digitopuntuta, Bach Flowers, etc., in no case having been found therapeutic incompatibilities, with the exception for the consumption of corticosteroids and steroids, which seem to retard the pyramidal-therapeutic processes. This is because the pyramidal effects - easily verifiable by any person - are not destructive and come from quantum corrections and molecular restructuring in the matter. It may not be a "panacea", but the results obtained so far show that we are facing the closest thing that can be. Psychical and / or psychological effects, based on the effect of myorelaxant, endocrine regulation and other biological corrections, are no less important for therapists, who manage to accelerate cathartic processes with greater tranquility in patients. The next investigative step will be on patients with cancer, since although we are optimistic according to what we know about the causes of the effects, we do not yet have any case of cancer treated with pyramids. I can not divulge the existing documentation for now, since we have developed a thick book, whose material can not be published before the publisher does. 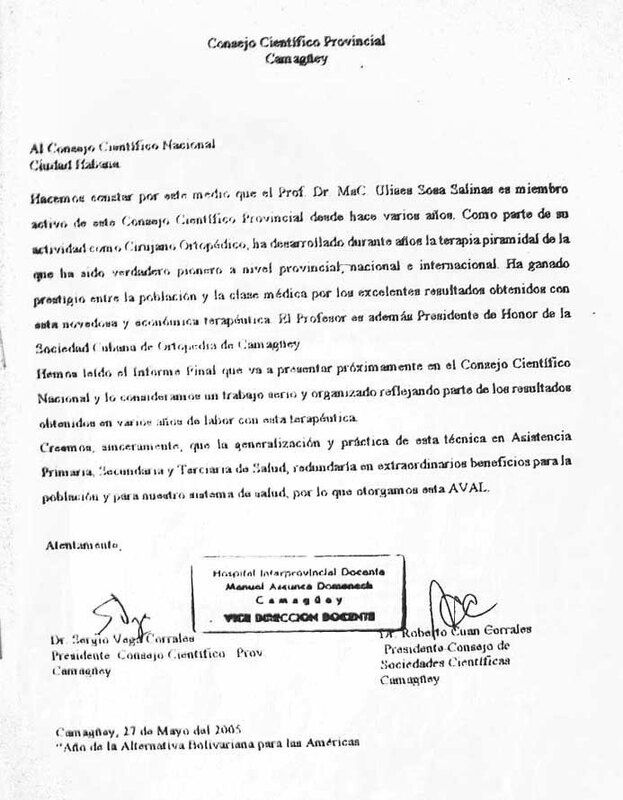 In this book, not only are the technical explanations from the physical point of view, from the researches of the 1st and 2nd Osiris Scientific Group, but also the statistical protocol developed by the Cuban professionals and all the documentation that I already have the copies Legalized. 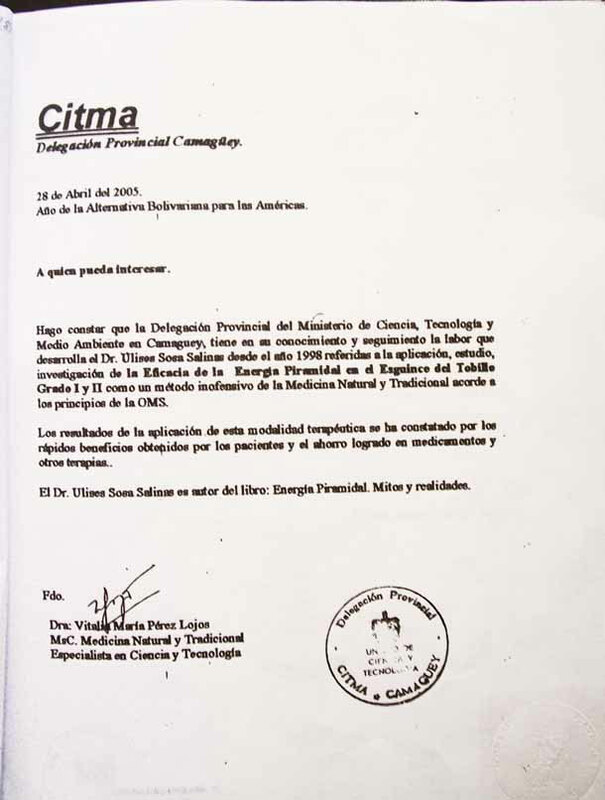 You already know the therapists and "piramidosleepers", that the pyramidal question has in Cuba the strongest scientific support that we can pretend, since the Scientific Council is composed of very skeptical and objective people. 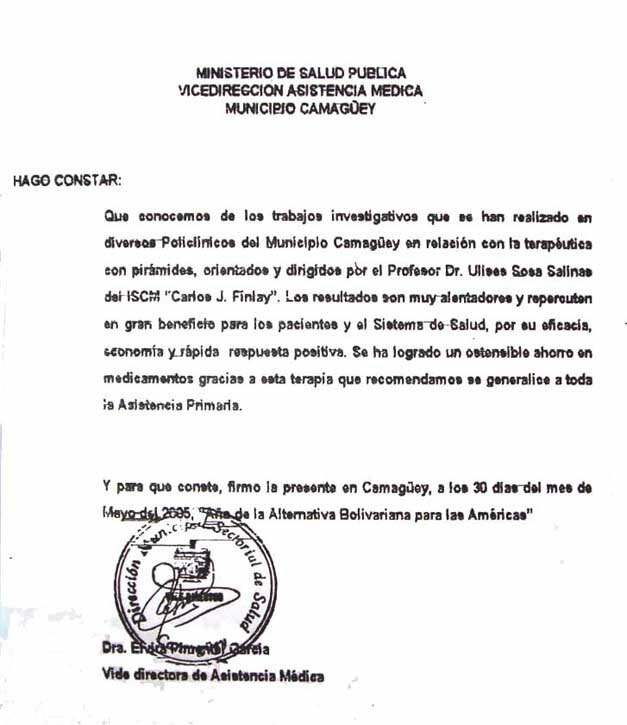 In Spain, we will try to invite Dr. Ulises Sosa to give courses to doctors and therapists, but while I am willing to give talks and conferences in the centers that request it. For more updated information see the books section. CENAMENT . 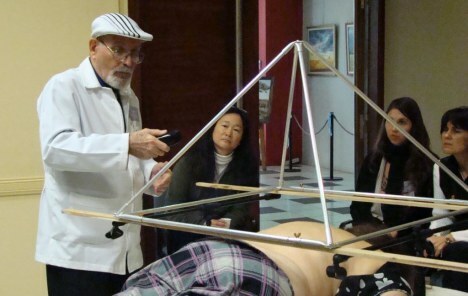 The Scientific Council of the National Center for Natural and Traditional Medicine considers the clinical evidence presented on the therapeutic value of the PYRAMIDAL EFFECT in a wide range of orthopedic diseases to be valid. Although it is recommended to continue the development of research to expand the sample and provide new evidence in Orthopedics and other medical specialties, the research results show its capacity as: Anti-inflammatory, Analgesic, Bacteriostatic, Muscle Relaxant and Sedative. 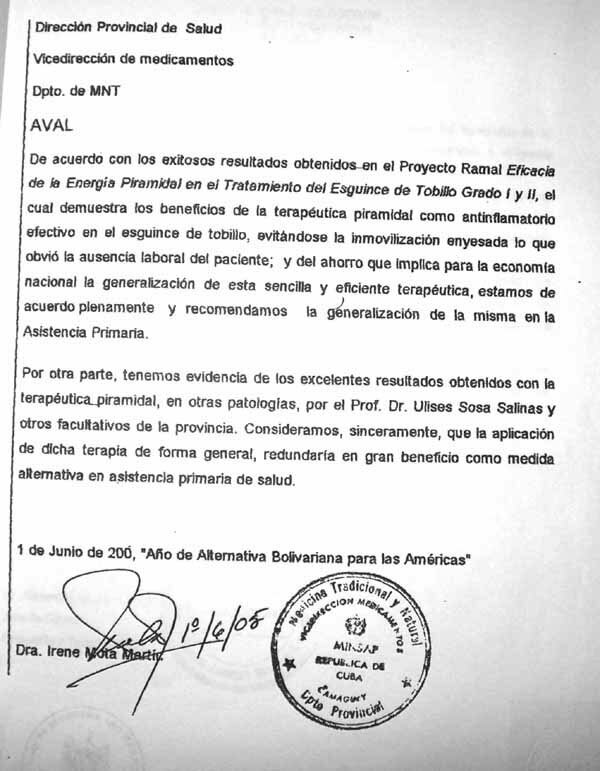 Therefore, in use of the faculties that are inherent to it, This Scientific Council unanimously approves the use of the PYRAMIDAL EFFECT in those pathologies where it is justified as treatment of some of the symptoms and signs mentioned above and recommends generalizing this therapy in the National Health System.  To make this result known to all potential interested parties and to publish this opinion on the Natural and Traditional Medicine Website. Given in the City of Havana, at 7 days of Dciciembre 2005. Year of the Bolivarian Alternative for the Americas. "Dr. Leoncio Padrón Cáceres, Chairman of the Scientific Council. 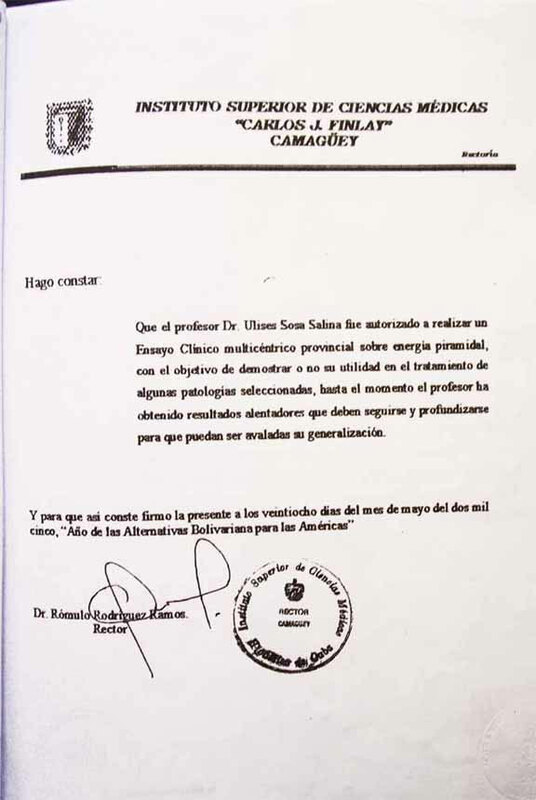 Signature Doctor and seal of the Ministry of Health of The Republic of Cuba. 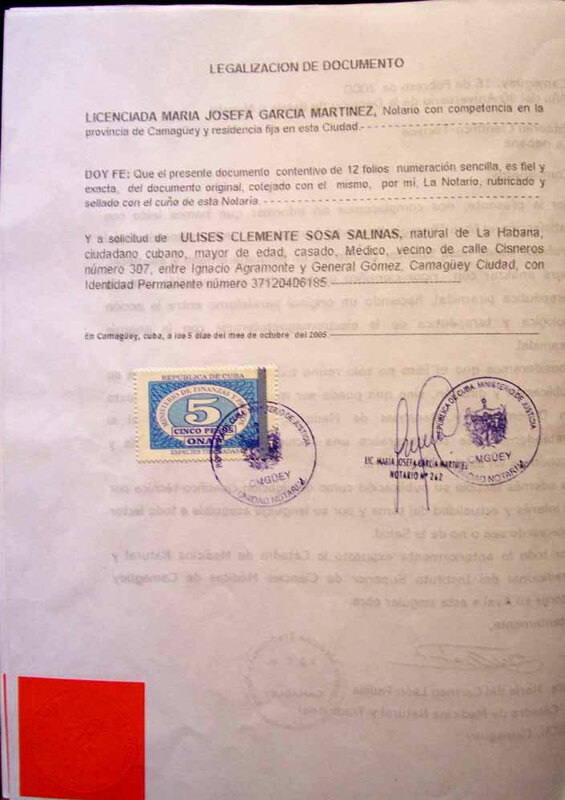 To Our Distinguished Client: Jesús Silva. 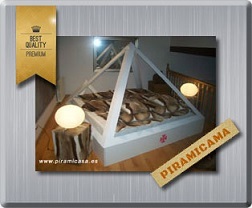 PYRAMICASA. 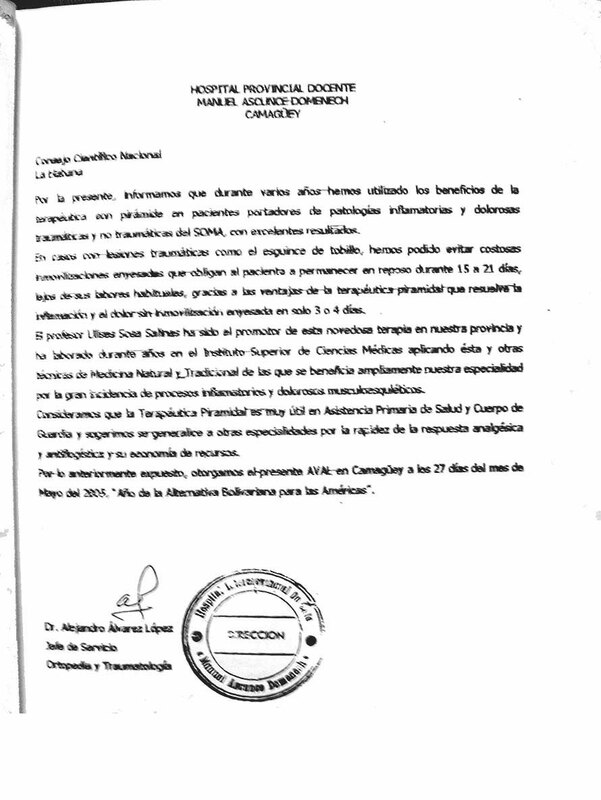 CERTIFICATE OF GUARANTEE. 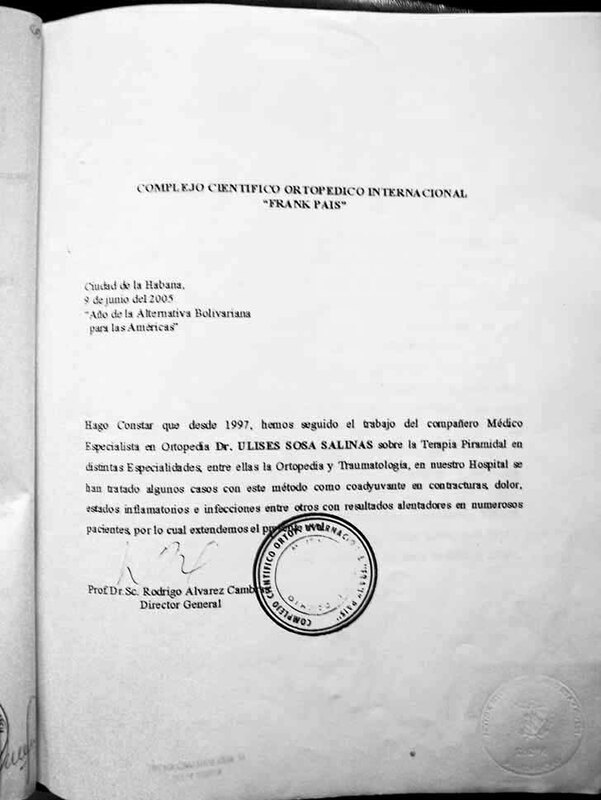 Piramicasa Certifies with effect of Law as and where it corresponds, that the pyramids that it produces, produce the effects certified by the sanitary authorities of Cuba, and that can be used in its interior by people, animals or plants, of indefinite way, without risk for the health, thanks to the quality of the aluminum that it uses and the other manufacturing characteristics. 2100 mm - Installed in c / Galia, 33 - Alicante. 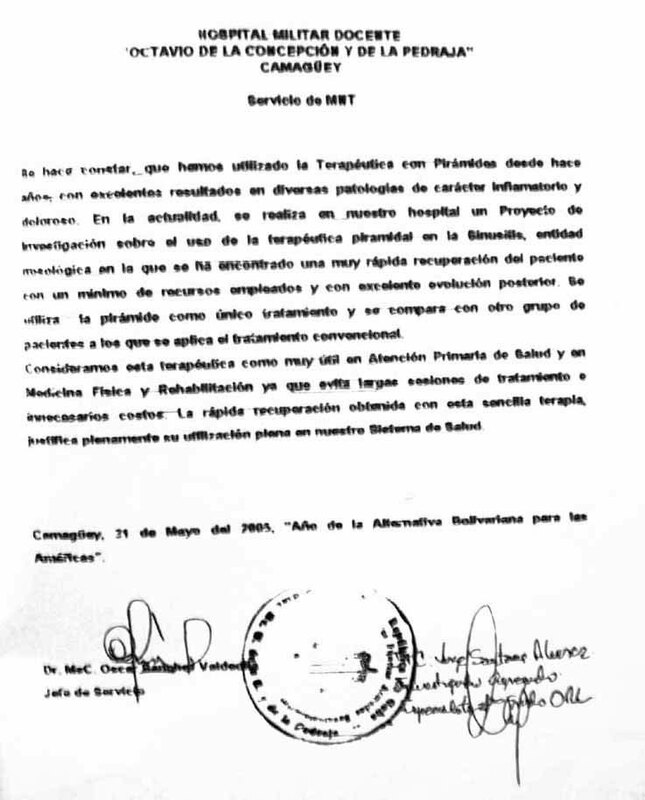 Signature of Deputy Director Viky Sánchez and Director Gabriel Silva. Some endorsements prior to the most important opinion, the one of CENAMENT seen above. There are more guarantees, but it is enough for the false skeptics to be silent and the real skeptics begin to experiment. 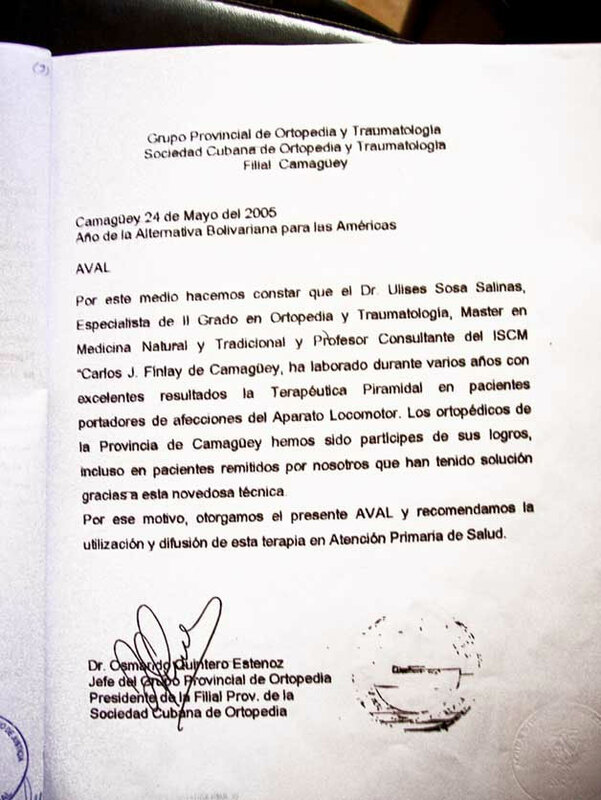 Teaching Provincial Hospital "Manuel Domenech"
Higher Institute of Medical Sciences "Carlos J. Finlay"
International Scientific Complex "Frank Pais"